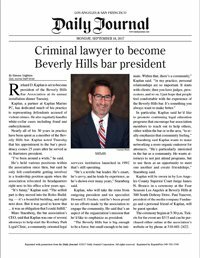 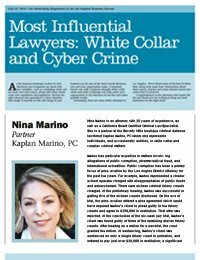 September 2018, Nina Marino, Jennifer Lieser and Casey Clark pen article titled "The Dark Side of Bitcoin," published in the September 2018 edition of Los Angeles Lawyer. 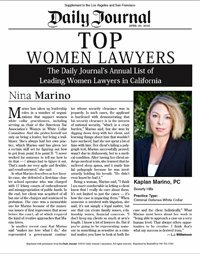 May 2, 2018, Nina Marino recognized as a California Daily Journal's 2018 Top Woman Lawyer. 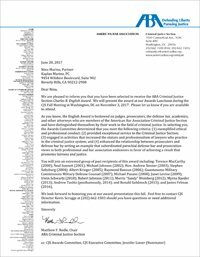 Supreme Court Blocks Most Warrantless Cellphone Searches. 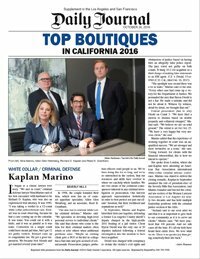 Is It Enough?